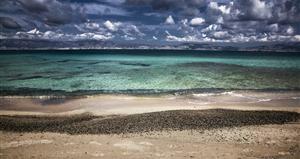 "There is a land called Crete, at the sea, which is like wine. It is very rich, surrounded by sea, very beautiful. and they speak a mix of many languages. Crete is the largest island of Greece, located at the southern edge of the Aegean Sea. It separates the Aegean from the Libyan sea and marks the boundary between Europe and Africa. The island is a cultural crossroad due to its strategic geographical position. It is famous for its history, culture, nature and nutritional habits and it is one of the most popular Greek tourism destinations. Heraklion is the capital and biggest city on the island with approx. 173.000 inhabitants. Other major cities are Chania, Rethymno, Agios Nikolaos, Ierapetra, the only city on the South coast of Crete, and Sitia. © 2013 Samaria National Park M.B. 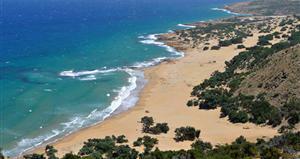 Crete combines mountains and sea in a landscape of extreme variety. 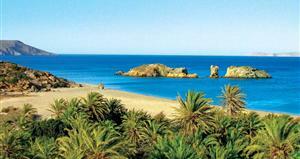 It has a remarkable coastline of more than 1000 km. The length of the island from one edge (west) to the other (east) is 256 km. Crete is renowned for its beautiful and diverse nature with palm tree forests (Vai and Preveli) and cedar forests (Gavdos and Chrysi islands) . The morphology of the Cretan landscape is described as intensely mountainous, with an imposing mountain range that crosses the island from the west to the east. 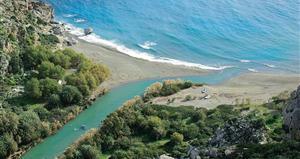 Crete could be well characterized as the land of the gorges. 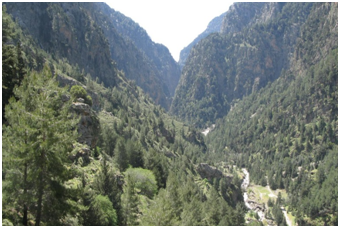 The most famous of them, the gorge of Samaria , approximately 16 kilometers in length, is one of the largest gorges of Europe. It is an internationally recognized place of environmental and cultural importance, and a protected area of the Natura network. Crete is well known for its agricultural products, such as olives and olive oil, honey, herbs and grapes, but also for its tasty and healthy Cretan diet. The Cretan diet comprises a whole philosophy of life and represents the lifestyle of the Cretan people. 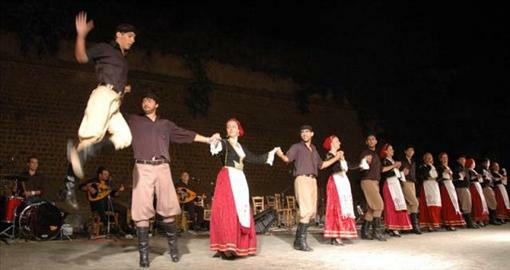 In Cretan culture food plays a central role, along with dance and music. In Crete music plays an important role in every aspect of life (religious ceremonies, entertainment, birth, marriage, death and war) and Cretan dances have their roots in the Minoan times. Today, Crete is home to scientific institutions of international caliber, hosting, amongst others, the University of Crete in Heraklion and Rethymnon, the Technical University of Crete in Chania and the Foundation for Research and Technology – Hellas (FORTH). Enjoy your stay in incredible Crete!